Rutgers University Press, 9780813546162, 232pp. The Ivy League is a place where basketball is neither a pastime nor a profession. Instead, it is a true passion among players, coaches, and committed sports enthusiasts who share in its every success and setback. Outside the Limelight is the first book to look inside Ivy League basketball and at the boundless enthusiasm that defines it. 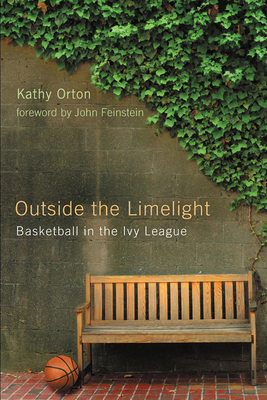 With painstaking reportage, Kathy Orton vividly captures the internal fervor of the personalities who champion their gameùall the triumphs and disappointments of an Ivy hoop season. Scholarships for student athletes? None, and this is the only Division I conference that does not offer them. The TV spotlight? It barely shines, despite the passion, talent, and commitment of the players. Megadollar contracts from the NBA? Rarely does a player receive an offer. These age-old institutions are better known for turning out presidents, not point guards, and CEOs and captains of industry, not centers on the court. Orton weaves together the stories of coaches and players as they move from fall practice through an entire season and ahead to the NCAA tournament. From Harvard to Penn, Princeton to Cornell and beyond, playersùperhaps more accustomed to pomp and circumstanceùface leaky gyms, endure long bus rides, rigorous courseloads, and unbearable exam schedules. Why? Just to prove they can hang with the big boys despite juggling multiple non-athletic responsibilities? Maybe. But more importantly, for the sincere love of the game. Outside the Limelight provides frontcourt vision for college basketball fans everywhere to achieve an appreciation of this captivating conference and for diehard enthusiasts to gain greater insight into what brings Ivy League basketball to center circle. KATHY ORTON has covered college basketball for the Washington Post for more than a decade. She was also the newspaper's beat writer on the NFL's Baltimore Ravens for two seasons, including their Super Bowl season in 2000. "Not many people are aware of the drama of Ivy League basketball. Outside the Limelight is a wonderful tribute to one of the most undervalued conferences in college basketball. I know. I've got the tuition bills." "Orton, a Washington Post sports writer, makes a game effort of illuminating the inside game of a sport that has been remarkably monotonous in its outcome." "Growing up, I was very impressed with Bill Bradley, Jim McMillian and Heyward Dotson. They fueled my interest in going to an Ivy League school. I hoped we as a team could duplicate the success they had at their schools. Kathy Orton introduces college basketball fans to the Ivy League beyond the well-known names and tells the story of the joys and sorrows of a season." "In my book, there's no such thing as an Ivy League player. There is such a thing as a basketball player who happens to play in the Ivy League. As Outside the Limelight reveals, when they come out of the locker room and step across the white line, they are basketball players. Period." "As someone who played in the Ivy League, and always wanted to write about it, Kathy Orton has beaten me to it. And good for her, for she's written a wonderful book that captures both the league's idiosyncrasies and its uniqueness. It's all here, the coaches trying to win in a league without athletic scholarships, the players grappling with their own basketball dreams, and the bus rides, too. In many ways the Ivy League is the last real amateur league in college basketball, a page out of a simpler basketball time, and Orton captures it all. I wish I had written it." Journalist Orton followed Ivy League men's basketball during the 2005-06 season, as Penn and Princeton battled for the top spot and Harvard, Cornell, Yale, Brown, Dartmouth, and Columbia struggled to achieve winning records. This charming book recalls a time when colleges played basketball solely for the love of the sport. Highly recommended.